When we were at our place in the Minervois last autumn, we sat down at one of our favorite cafés in Olonzac after running some errands and ordered coffees. When we were ready to leave I went inside to pay and the owner, Stephane, said that we owed €2.40. Thinking that he had made a mistake, I said, "no, we had two coffees." He looked at me and smiled and said, "Jennifer, you're not in Paris." 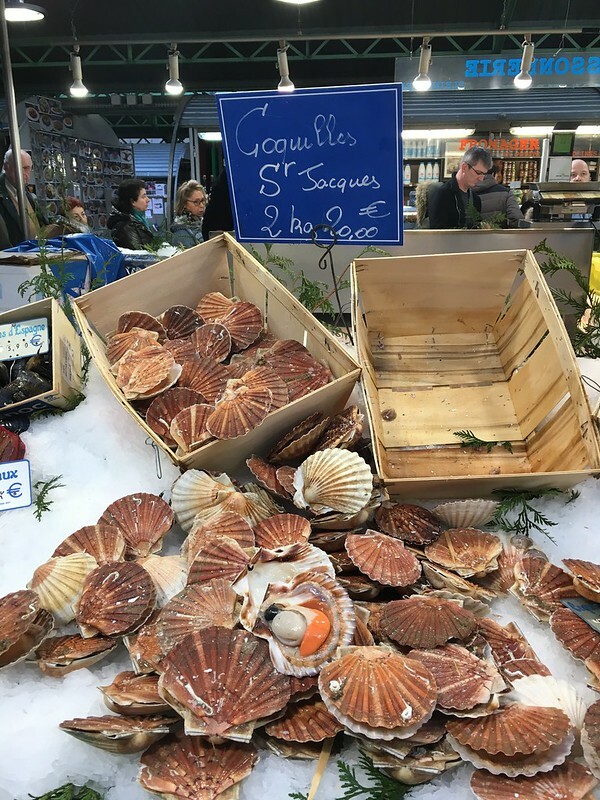 Outside of Paris, it appears that the wine, the food, the restaurant prices, the rent, the fuel, the tolls, everything but the electricity, internet and the cost of renewing a 10 year carte de résident, is less expensive. That isn't to say that life in Paris isn't worth the higher prices. And conveniences. 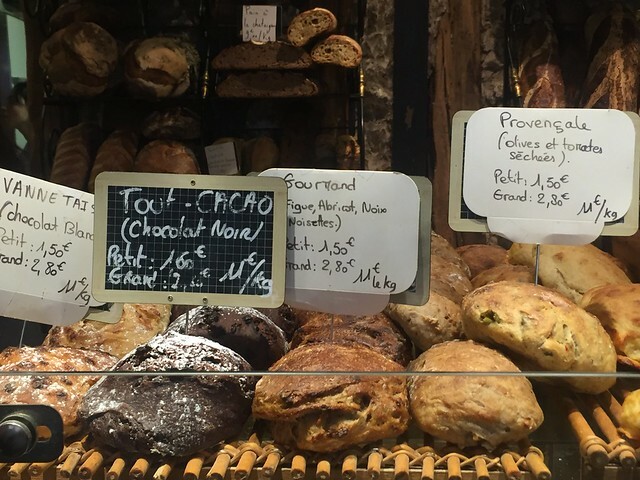 The fromageries, pâtisseries and boulangeries (in general) are better in Paris. We are seriously spoiled for choice here. I can walk one block for a baguette from an award winning bakery or walk across the street for a delicious French meal from our local café. Being able to afford to live in Paris is something I personally will never take for granted. Our current situation is this: in Paris we pay rent, fees and must carry renters insurance, in addition to paying taxes, electricity, water and homeowners insurance on our house in the south. We think that we manage to live quite well on what many would consider a small budget. Entertainment and eating out are definitely where we spend the least, compared with many of our friends. We simply don't eat out that often, mainly because I love to cook (I find it relaxing), love to shop and be inspired by the seasonal fruit and vegetables at the local markets, and we are often, sadly, underwhelmed by restaurant meals. That isn't to say that we don't enjoy eating out at the handful of our favorite restaurants from time to time. 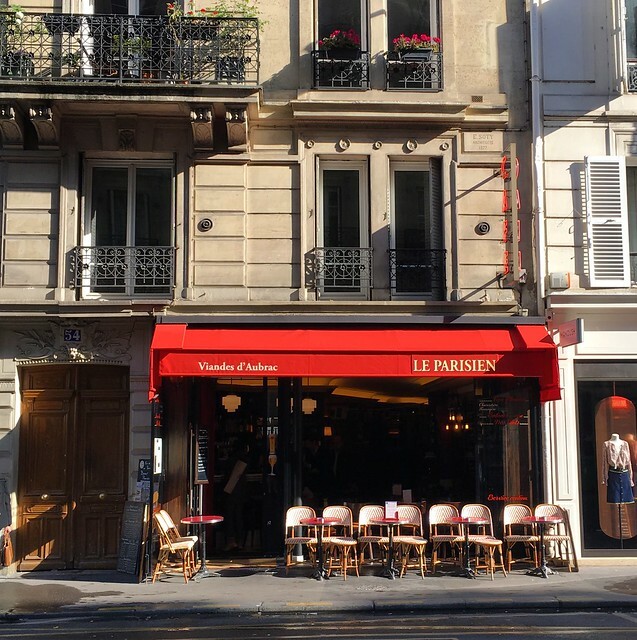 There are some incredible places to eat in Paris! It's just that we would rather go out to eat occasionally and enjoy a really great meal, rather than go out more often and suffer through an expensive, mediocre meal. Looking back, I see that things have definitely changed since I started sharing my Cost of Living posts! When I wrote the first post in 2008, I was still fighting with the sous-préfecture in Béziers to give me the right to work or be self employed. We were hanging on, spending a mere 800 € a month, and the exchange rate was 1€ = $1.48. Ouch! Two years later I updated our situation. In 2010 we were spending 880 € a month and the exchange rate was 1€ = $1.24. In the summer of 2011 I wrote my third post on the subject. At that time we were spending 1005 € a month and the exchange rate was 1€ = $1.44. After we moved to Normandy I posted another update. In 2013 we were spending 1790 € a month and the exchange rate was 1€ = $1.33. Today the exchange rate is 1€ = $1.11. 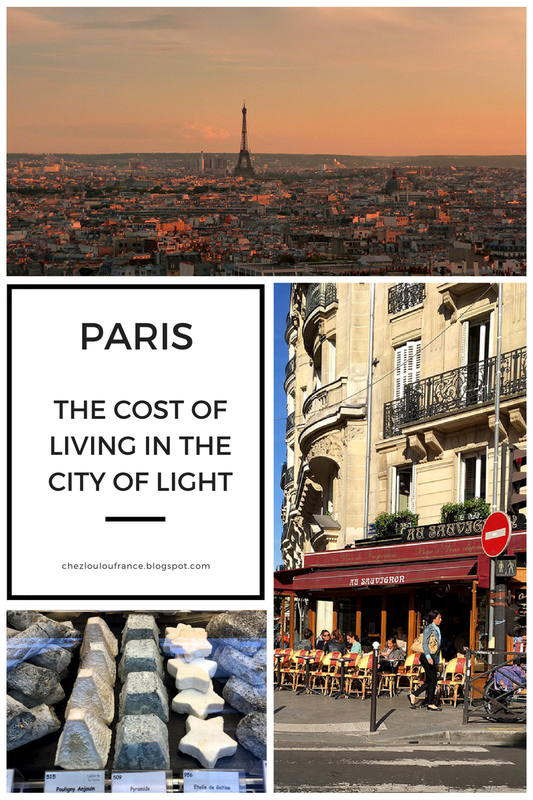 If anyone else in Paris would like to share their cost of living stories, I would love to hear them. Really really appreciate your cost of living reports!!! Have saved them all for our (hopefully soon) move to France. They're so valuable and I don't know anywhere else that this information is available. Most people are not willing to reveal their expenses so bravo for you!! What a terrific gift as well as all of your marvelous legalization info - so so so helpful. Thanks so much for this incredible service you're offering. I can't speak to cost of living in Paris, but I am living in Provene, near Carpentras. I have a house in the Languedoc (like you) and have it rented. I also own a two unit building in San Diego, California, and each of those large two bedroom units rents for $2350 per month. No, really. They are bigger than your apartment, but they are so not in Paris! I have been in France since 2009, I now have a ten year card and am planning to try for citizenship (especially considering the political climate in the US). It seems to me that everything here is either cheaper, or on a par, with the California -- mostly cheaper -- except fuel for my 17 year old car. But that is NOT why I'm here, I live here because I love France, love the food, the wine, the countryside, the pace of life, most of the people -- maybe not so much having to deal with bureaucracy, but even that is not horrible, and I have had many very helpful people along the way assist me getting through some technical situations. If you ask for help, they seem to be quite happy to give it. I wish my french was better, I do not have a gift for languages, but I'm sure I provide the French with many hours of amusement. I forgot to mention that I have a very nice house on a property with two houses, shared with a friend from Germany (who speaks several languages fluently), which is far more "posh" than I could possibly afford in San Diego. Vive le France! Good post. I just happened upon it based on a "like" on facebook and found a comment from Bonnie, who might remember me from an "Ile de France Walks" hike of many years ago. I'll be back to read you, again. 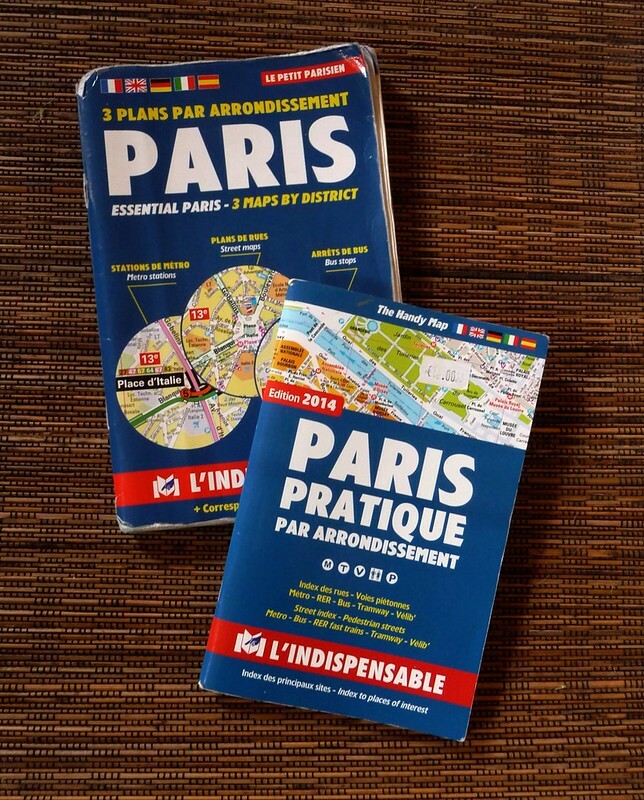 These posts are all very helpful to anyone planning a move to France, especially a move to Paris. I only council caution because each circumstance is different. For instance I am a Californian (very expensive cost of living) and i own a small apartment in Paris outright. I do not have a car. My building fees as a propriétaire are only about 125 eu per month, and all my other expenses are probably about a third of the cost of same in California. So the cost of living is in part a real number, but it's also in part a comparative number to the cost you are accustomed to. Take care as you evaluate this very useful information. Make sure that your takeaway is applicable to your particular situation. And living in France has its rewards that cannot be quantified...that's why many of us are here, everything else aside. 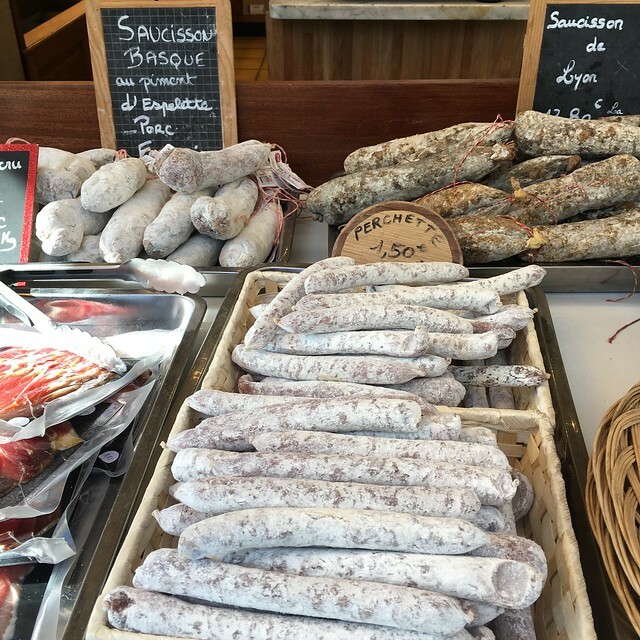 There are places in Languedoc (in Carcassonne, anyway) that have products like cheese, bread, fish, meat, that are as good as, if not better, than what you can find in Paris. They will cost a bit more, though I doubt they are as pricey as in Paris. They might not have awards, because they wouldn't think of competing for one. But in general, you may find somewhat lower quality and far lower prices because people here are very price-conscious. It's rare for people to earn more than the SMIC. The average salary in Aude is €1847 net per month (2010 figures). Agree with what you wrote. Everyone has a different "comfort" level and requires different things to make them happy. Often when I tell Americans (not from NYC, but from almost everywhere else) the size of our apartment, they get a look of horror on their faces. We have found over the years that we don't require much stuff and would rather spend money on experiences than things. I've met a lot of people who think they want to live in Paris or France, but don't want to have to go outside of their comfort zone. Well...I don't remember the quality of chocolates, pastries and restaurants in places like Carcassonne and Narbonne coming even close to what is available in bigger French cities. 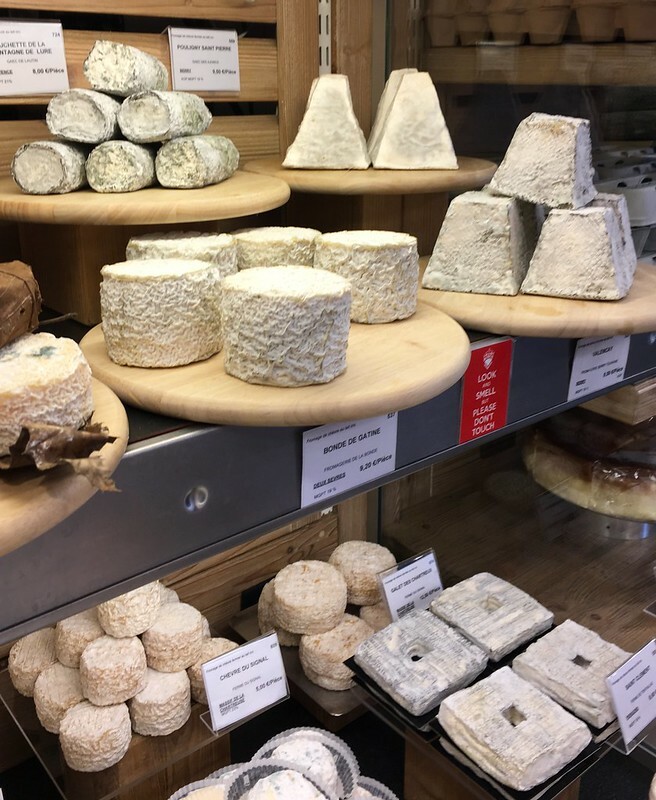 Places like La Ferme in Carcassonne (and they used to have one in Narbonne, not sure if it is still there) have lovely regional products and cheeses, but what they offer is quite limited. I agree that the prices are much less expensive down south and the quality definitely depends on where you're buying. I do miss the Saturday morning market on the Place Carnot! Yes, prices have definitely gone up! But it is still cheaper to live in the country. We are coming this September and I am already been surprised ( not to say shocked) by the price of a rental for a week ( as compared to previous visits) in Paris and in Dordogne ( which i don't know yet). Since the new laws have come into play, quite a few owners have stopped promoting their pied à terre and one has to go either through an agency ( where the cost and quality vary) or use the on-line sites ( no need to mention them) which operate as a monopoly. Jennifer, I appreciate these cost of living posts, but actually my comment is irrelevant to that; sorry! It's a cheese comment, based on your recent facebook review of the Trefle cheese. Since I'm not on facebook I thought I'd make my comment here. There's another cheesemaker in the Perche, Ferme de l'Aritoire, that makes excellent goat cheeses and sells them at the Sunday market at Courbevoie near La Defense. We buy their cheeses at the farm when we're in France and think they are better than anything we've bought in the Loire. Also, it may be the prettiest goat cheese farm in France. Yes, prices have gone up, especially in Paris where there are too many holiday rentals and not enough apartments for locals. It's quite frustrating as a resident when you read that the no-need-to-mention-company paid less than €100,00 in taxes last year when France is their 2nd largest rental market. For someone like me who earns a fraction of a fraction of what they earn and pay 23% tax, it makes you quite angry. I love your cost of living reports. It was this information that made me realize I could actually afford to move to France. I made the move last year and bought a house in Mayenne in July of this year. I can live off of my Social Security (USA) and still save money travel back home at least once a year. I feel very lucky to find a nice welcoming village, where everyone is helping me with my French. I am about the face my first visa renewal in November - wish me luck!